I’m fascinated with the idea of buildings that are energy neutral, meaning the renewable energy they generate is enough to meet their energy consumption needs. Also known as zero net energy (ZNE) buildings, enough of them are now popping up around the globe that we can start to learn which systems, controls and approaches are proving most effective in constructing them. For a project led by the Continental Automated Buildings Association (CABA), the non-profit New Buildings Institute (NBI) took a hard look at the subject by surveying design firms responsible for 23 buildings, operators of six buildings and occupants of seven buildings. Their findings are reported in a webinar as well as a report, “CABA Zero Net Energy Buildings Controls: Characteristics, Energy Impacts and Lessons,” which takes an exhaustive look at the topic. 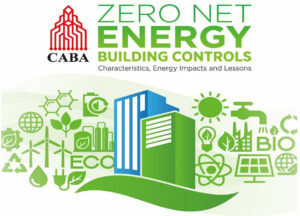 CABA’s survey highlights the importance of device controls and planning in achieving zero net energy buildings. Among the findings is that ZNE buildings typically use 75% less energy as compared to a standard building of similar size. That’s right – they use only one quarter of the energy of comparable buildings. That fact alone makes it suddenly not so unreasonable to think it’s possible to generate the energy required to operate the building using on-site renewable sources. The survey makes clear that a number of factors go into the full equation, however. It paid particular attention to the types of controls used in ZNE buildings, which all participants said were either very important or critical to success. An overwhelming majority (91%) of the buildings use control systems that integrate multiple end-uses and more than two-thirds (67%) have an integrated whole-building control system to handle all major end-uses, such as lighting, heat and air conditioning. The designers seemingly think of everything, from glare control and shade to maximize the benefits of daylight, including automated shading to contribute to energy savings. Light switches are used more than occupancy sensors and some buildings have switches set to “off” by default; the switches must be manually turned on and will eventually turn themselves back off. Such an approach makes sense, so you don’t have empty rooms with the lights on. Nearly two-thirds of buildings employ plug load controls, with most using a variety of control solutions. Nevertheless, the buildings don’t try to automate everything – nearly three quarters of respondents (74%) say they rely on occupants to contribute to successful energy conservation. 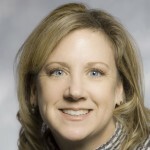 “The highest-performing buildings have engaged operators and occupants standing on the shoulders of intelligent and integrated controls systems,” the report says. The control design selection process is also critical to success. Identifying and communicating energy goals early on was found to be critical to the design and selection of controls. Among the top criteria in selecting a controls vendor, 86% cited prior experience with the vendor, far ahead of the 57% that noted price. Two-thirds of respondents noted that attributes of the user interface and preference setting was either very important or critical to ensuring proper use. That makes perfect sense; if a control isn’t easy to use, it won’t be used effectively. That’s likely at least part of the reason that all study participants agreed the building operator should be brought into the design process as early as possible, and be involved all the way through. 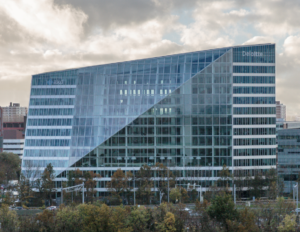 The Edge, head office of Deloitte in the Netherlands, is a zero net energy building. As I wrote in a previous post about The Edge, controls are indeed essential to ensuring occupant satisfaction. One great example is a smartphone app for building employees that enables them to regulate lighting and climate in their workspaces, and even find their way around the building. The app contributes to behind-the-scenes control systems that help make the building continually smarter. The Schneider Electric SmartStruxure building management system collects and analyzes data based on user behaviors as they move throughout the facility and uses it to optimize the building’s energy use and supply analytics that lead to future enhancements. Other controls enable facility managers to manage building operations from wherever they may be. I expect we’ll be hearing a lot more about ZNE buildings and the controls they use. To learn more, check out my previous post on The Edge (or watch the video above) as well as the CABA report and/or webinar. I am writing on behalf of my magazine BuildOTech. Buildotech (http://buildotechindia.com/) is India’s premier magazine on Building technology, design and sustainability. Into the 10th year of its publication, the magazine–print and e-version- has a wide spectrum of readership comprising architects, builders, interior designers, project consultants, system integrators, and system/product providers across India. While giving thrust to building technology, Buildotech explores the architectural and sustainable practices of building designers as well. We are also part of the IGBC convention as the media partner. Our November edition is focusing on “Building Management Systems’. I happen to read your article Achieving Zero Net Energy Buildings. We would like to reprint the same for our magazine. Do let me know if this is possible from your end.